Patchy Work of Mini Grey: EB Quilters Doll Quilt Swap #6. EB Quilters Doll Quilt Swap #6. 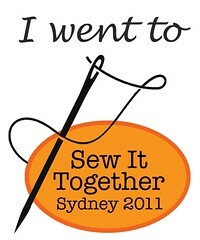 I signed up a few months ago for the 6th EB Quilters Doll Quilt Swap. Signed up reluctantly I must admit and only signed up because AJ made me!! LOL I used to love swaps but now am a bit over it all. 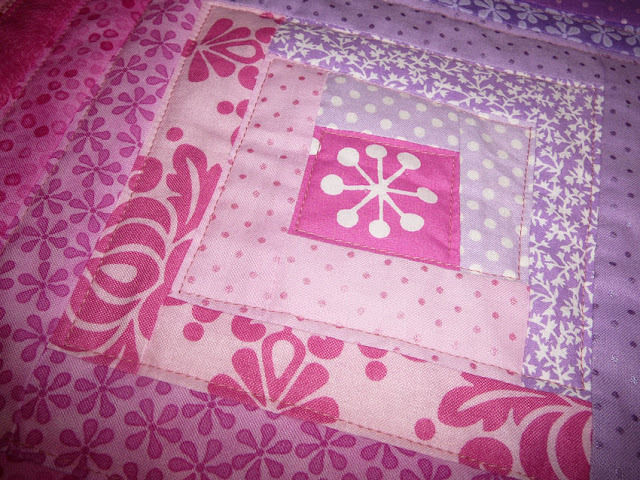 I procrastinated for weeks until I pulled out four left over blocks I had made back in June 2009 here. 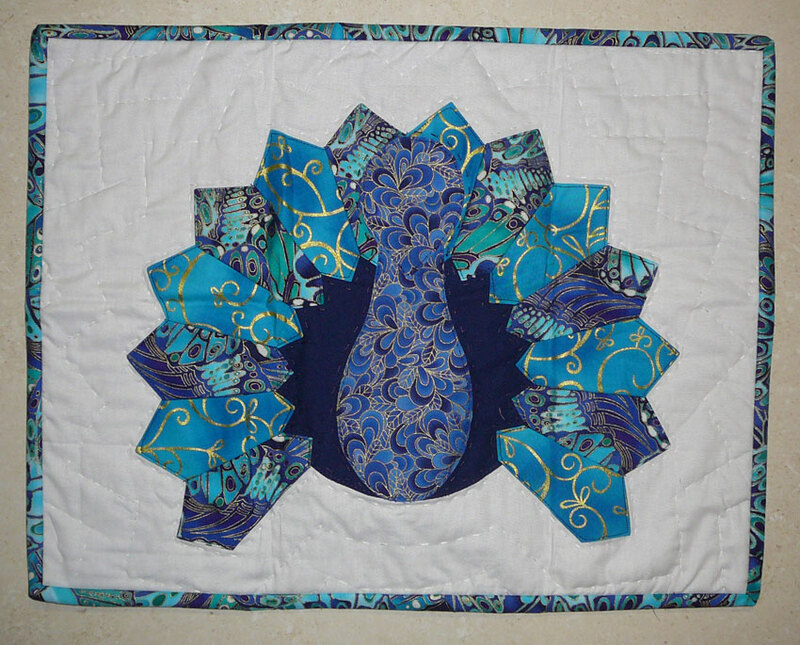 There was 8 blocks originally but the other four ended up in this quilt finished in March 2010. That quilt is now over in the UK and this one is over in NSW! What I am basically trying to say is hang onto to your left over blocks as they may come in handy one day! The quilting was very simple. I wanted it to be soft and drap around a doll if needed. And I recieved this quilt in return from Shirley, who coincidentally was the one that recieved my quilt! 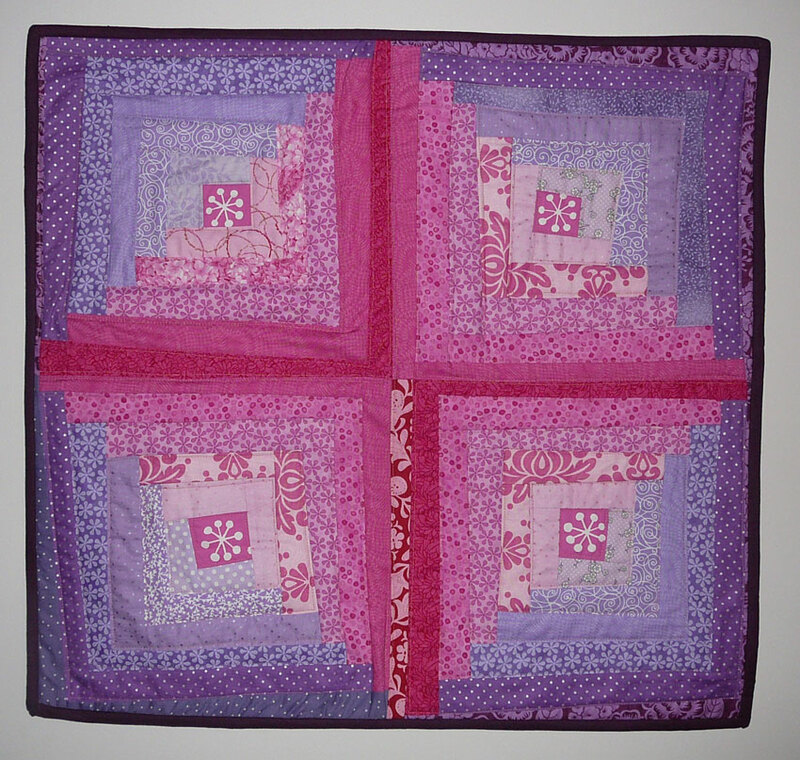 Thanks Shirley, the hand quilting is lovely. Grace has her teddy snuggled under it. Rainbow Whirlygig Quilt Top Finished.